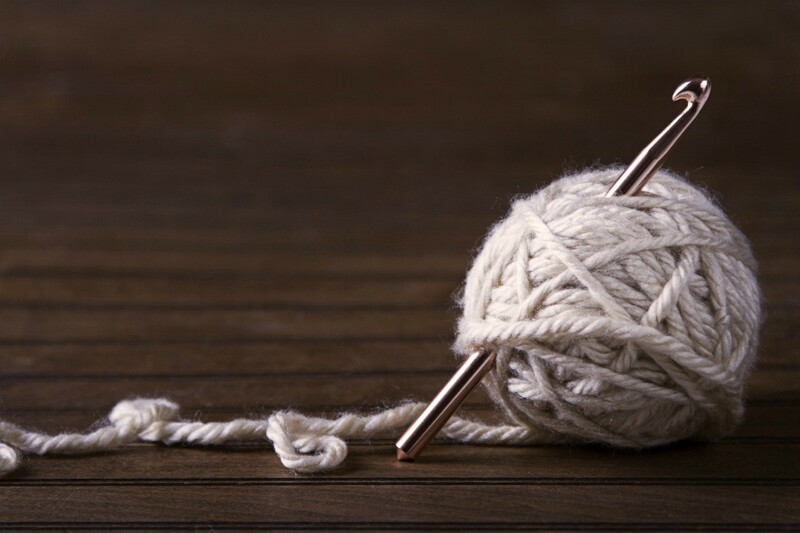 Whether you knit or crochet a fun theme for gifts or yourself is to create a throw with the logo of your favorite college team. This is a guide about finding an Oklahoma Sooners afghan throw pattern. I am looking for a crocheted Oklahoma University afghan pattern? Well, double crochet a purple background and outline a Powercat logo and the letters "Kansas State University Wildcats" with white yarn in the center of the afghan! I'm joking! I'm joking! Just a Big XII friendly rivalry remark that I couldn't stop myself from typing! :-) I'm so bad that way! All kidding aside, check with craft stores, fabric stores or yarn shops in Norman, Oklahoma (maybe even Oklahoma City). A lot of the stores and shops in the hometowns of Big XII schools cater to the school's fans and try to stock University logo related merchandise. If an employee simply says "No, we don't have that," ask to talk to a manager who could possibly be alerted to a customer request and look for such a pattern through their individual suppliers. Congrats to the Sooners for the Fiesta Bowl Game win and good luck finding the afghan pattern you are seeking. I am looking for a crochet pattern for an afghan or throw with OU on it, for the Oklahoma Sooners. Anyone know where I might find a pattern, or anyone have one? I've searched the internet and in stores, gonna go check out the library next. Any help is greatly appreciated. Thanks. I have figured out how I'm gonna make this afghan, and will post a picture when it's completed. Here is a fun suggestion if you like using your computer. Go to google and type in cross stitch pattern maker. You should be able to find quite a few trial versions. 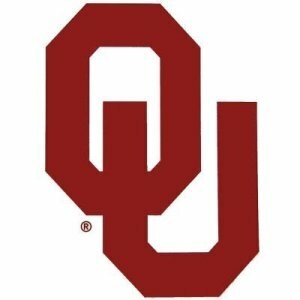 Now find a picture of the Sooners Logo. Put it in your program now when it comes up as a cross stitch pattern copy it and you now have a pattern that can be done in granny squares. Just Make a square for each square on the graph. If you have half squares Meaning one color on one side and one color on the other half, The internet also has instructions for making two color squares. Have fun and would love to see a picture of your finished project. Update 9/16/08. found errors, pattern is corrected now, sorry! here is the pattern i made up. This is my own design. Row 1: Chain 41. Hdc in 3rd chain from end. hdc in each chain across (39 hdc). Turn. Row 2: Chain 2, counts as first Hdc. Hdc in each hdc across. Turn. Row 3 and 4: Repeat row 2. Row 5: Chain 2. Hdc in the next 6 stitches, change yarn to Off white. Hdc in next 15 stitches changing back to burgundy in last stitch, hdc in remaining stitches. Turn. Row 6: Chain 2. Hdc in the next 15 stitches changing to OW in last stitch. Hdc in next 17 stitches changing to B in last stitch, hdc in remaining stitches. Turn. Row 7: Chain 2. Hdc in next 4 stitches changing to OW in last stitch. Hdc in next 19 stitches changing to B in last stitch, hdc in remaining stitches. Turn. Row 8: Chain 2. Hdc in next 13 stitches changing to OW in last stitch. Hdc in next 21 stitches changing to B in last stitch, hdc in remaining stitches. Turn. Row 9: chain 2. Hdc in next 2 stitches changing to OW in last stitch. Hdc in next 23 stitches changing to B in last stitch, hdc in remaining stitches. Turn. Row 10: chain 2. Hdc in next 12 stitches changing to OW in last stitch. Hdc in next 6 stitiches changing to B in last stitch, hdc in next 11 stitches changing to OW in last stitch, hdc in next 6 stitches changing to B in last stitch, hdc in remaining stitches. Turn. Row 11 - chain 2. Hdc in teh next 2 stitches changing to ow in the last stitch, hdc in the next 6 stitches changing to b in the last stitch, hdc in the next 11 stitches changing to ow in the last stitch, hdc in the next 6 stitches changing to b in the last stitch, hdc in the remaining stitches. Turn. Row 16: chain 2. Hdc in in next 1 stitch changing to OW in last stitch, hdc in next 6 stitches changing to B in last stitch, hdc in next 5 stitches changing to OW in last stitch, hdc in next 6 stitches changing to B in last stitch, hdc in next 3 stitches, changing to OW in last stitch, hdc in next 6 stitches changing to B in last stitch, hdc in next 2 stitches changing to OW in last stitch, hdc in next 6 stitiches changing to B in last stitch, hdc in remaining stitches. Turn. Row 17: chain 2. . Hdc in in next 2 stitches changing to OW in last stitch, hdc in next 6 stitches changing to B in last stitch, hdc in next 2 stitches changing to OW in last stitch, hdc in next 6 stitches changing to B in last stitch, hdc in next 3 stitches, changing to OW in last stitch, hdc in next 6 stitches changing to B in last stitch, hdc in next 5 stitches changing to OW in last stitch, hdc in next 6 stitiches changing to B in last stitch, hdc in remaining stitches. Turn. Row 19: Repeat Row 17. Row 22: Repeat Row 16. Row 23: chain 2. Hdc in next 2 stitches changing to OW in last stitch, hdc in next 23 stitches changing to B in last stitch, hdc in next 5 stitches changing to OW in last stitch, hdc in next 6 stitches changing to B in last stitch, hdc in remaining stitches. Turn. Row 24: Chain 2. Hdc in next 1 stitch changing to OW in last stitch, hdc in next 6 stitches changing to B in last stitch, hdc in next 6 stitches changing to OW in last stitch, hdc in next 21 stitches changing to B in last stitch, hdc in remaining stitches. Turn. Row 25: chain 2. Hdc in next 4 stitches changing to OW in last stitch, hdc in next 19 stitches changing to B in last stitch, hdc in next 7 stitches changing to OW in last stitch, hdc in next 6 stitches changing to b in last stitch, hdc in remaining stitches. Turn. Row 26: chain 2. Hdc in next 1 stitch changing to OW in last stitch, hdc in next 6 stitches changing to B in last stitch, hdc in next 8 stitches changing to OW in last stitch, hdc in next 17 stitches changing to B in last stitch, hdc in remaining stitches. Turn. Row 27: chain 2. Hdc in next 6 stitches changing to OW in last stitch, hdc in next 15 stitches changing to B in last stitch, hdc in next 9 stitches changing to OW in last stitch, hdc in next 6 stitches changing to B in last stitch, hdc in remaining stitches. Turn. Row 28: chain 2. Hdc in next 1 stitch changing to OW in last stitch, hdc in next 6 stitches changing to B in last stitch, hdc in next 14 stitches changing to OW in last stitch, hdc in next 6 stitches changing to B in last stitch, hdc in remaining stitches. Turn. Row 29: chain 2. Hdc in next 10 stitches changing to OW in last stitch, hdc in next 6 stitches changing to B in last stitch, hdc in next 14 stitches changing to OW in last stitch, hdc in next 6 stitches changing to B in last stitch, hdc in remaining stitches. Turn. Row 31: Repeat Row 29. Row 32: chain 2. Hdc in next 1 stitch changing to OW in last stitch, hdc in next 26 stitches changing to B in last stitch, hdc in remaining stitches. Turn. Row 33: chain 2. Hdc in next 11 stitches changing to OW in last stitch, hdc in next 24 stitches changing to B in last stitch, hdc in remaining stitches. Turn. Row 34: chain 2. Hdc in next 3 stitches changing to OW in last stitch, hdc in next 22 stitches changing to B in last stitch, hdc in remaining stitches. Turn. Row 35: chain 2. Hdc in next 13 stitches changing to OW in last stitch, hdc in next 20 stitches changing to B in last stitch, hdc in remaining stitches. Turn. Row 36: chain 2. Hdc in next 5 stitches changing to OW in last stitch, hdc in next 18 stitches changing to B in last stitch, hdc in remaining stitches. Turn. Row 37: chain 2. Hdc in each stitch across. Turn. Row 38 chain 2. Hdc in each stitch across. Turn. Row 39: chain 2. Hdc in each stitch across. Turn. Row 40: chain 2. Hdc in each stitch across. Turn.